The time is now here! All the products announced on February 2, 2015 and a few others, were released past week. While some of them may just looks like bug fixes or compatibility releases others bring amazing new features. I’ll give just a peek at the highlights I choose, full features could be find at the release notes. Wow, this release is amazing with things like, Long Distance vMotion, Cross vCenter vMotion, Web Client Performance enhancements, Virtual Volumes (VVOL) and some platform innovation like Platform Service Controller (PSC) service. It’s a good idea to check What’s New in vSphere 6 Platform guide. If I were you I would check vSphere 6 Configuration Maximum guide. Covering a lot of bug fixes this release also brought Secure Remote Console for VMs running on vSphere endpoint back !!! Custom properties are reapplied in case you reprovision a VM. Along with vSphere 6.0 support it now also supports Storage vMotion and Storage DRS on both the protected and recovery sites, protect and recovery of virtual machines using IPV6. This release kills the difference between standard/advanced. That means all features are included on a single version and a free version, how cool is that ?!? - Network traffic compression: replicated data is now optionally compressed prior to being sent over the network, resulting in reduced replication times and less network bandwidth consumed. - Linux guest OS quiescing: introducing Linux guest OS quiescing service to provide file-system level crash consistency to replicated Linux-based VMs. - Scalability: each vSphere Replication Management Server can now configure for replication and manage a maximum of 2000 simultaneous replications, up from the limit of 500 replications today. This release upgrades all components, vCNS Manager and vCNS Edge, but, beside of a few bug fixes it adds support for vSphere 6.0, but beware that new vSphere 6 features have not been tested with this release of vCNS therefore it’s not supported, for more details check KB2109120. This release has a built-in and a step-by-step instruction how to set up everything along with how to videos. Nice if you ask me. This release confirms the tight integration between VMware products, like vCenter, vRealize Operations and LogInsight for OpenStack operations. 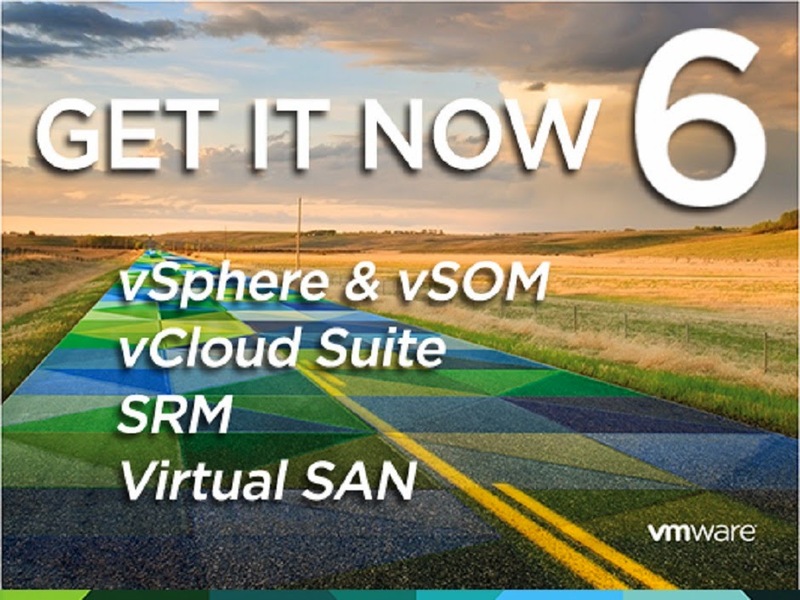 Another compatibility release for vSphere 6.0 support. It might have more, gosh !!! !